A great area rug can really set the tone for a room. A soft-spoken neutral can add just a whisper of texture to the floor, while a boldly-hued pattern can be the starting point for an all-new decorating scheme. Even if you keep all your furnishings the same, swapping in a new area rug is a quick way to totally change the feel of the space. On top of being a style statement, a rug can add softness underfoot to make standing or sitting on the floor more comfortable and can help insulate the room against chilly temperatures as well as buffer sound from echoing through your home. There is a lot things to consider when buying rug including style, cost, and where to buy. The best places to shop for a rug will have a good selection of options within you budget and the styles that you like. While many home stores offer a selection of rugs to complement their furniture, some furniture stores have become destinations for rug shopping in their own right. Other stores specialize in rugs specifically, and there you’ll find an even broader selection. And whether you prefer to comb through pages and pages of options online on a Friday night, glass of wine in hand, or to visit a store in person to browse on the weekend, we’ve got options for you. Here are the best places to buy rugs. It should come as no surprise that this online home furnishings megastore has a big rug selection! 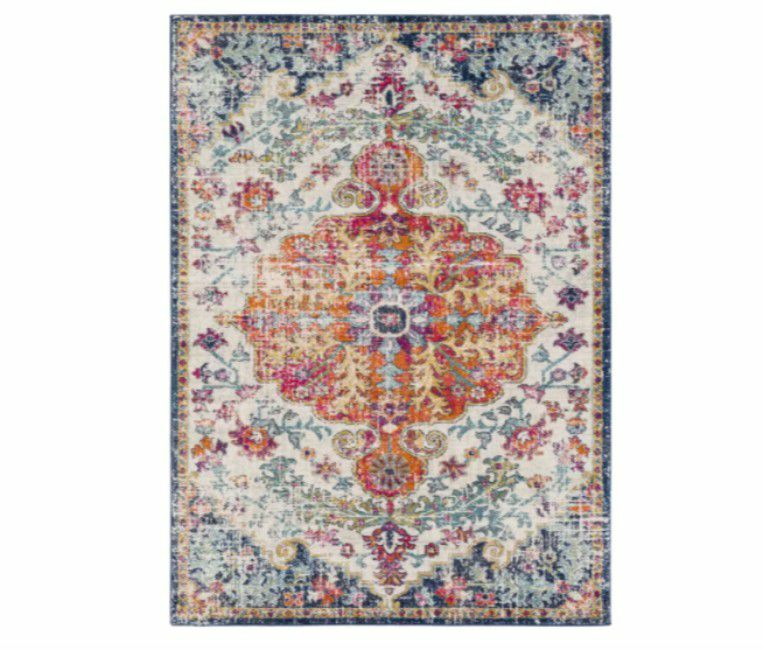 If you are a person who needs to see just about every rug out there before making a pick — head straight to this website and start browsing. You can just go page by page, or you can easily navigate straight to the rugs in your category, whether you’re looking for a particular color, shape, size, feel or application (like a rug for a bathroom or to run up the stairs). The selection includes traditional, transitional and modern options, with some trendy pieces thrown in as well, and most of the rugs have multiple size options or come in a few colors. When you select an item, the site will automatically suggest similar ones to easily compare and choose the best one. Most items ship free, with reliable customer service and tracking. Be sure to check out reviewers images in the comment section to see how the rugs look in actual homes. For affordable rugs with international flair, head to World Market. This brand offers a range of rugs, from classic selections like jute or shag rugs, to flat-weave kilim rugs, to antique-inspired rugs and even some trendy out-there options, like a metallic-accented faux cowhide rug. Most of the stores have a well-stocked rug selection, and you can find even more options online, including more sizes and colors than you see in the store. One ongoing in-store-only find: Their small chindi area rugs, made of bits of Indian saris. These under-$20 mats are the perfect size for a bathroom or entryway and are reversible, too. While this brand is better known for its clothing, Urban Outfitters has a strong, curated selection of rugs. Geared toward younger decorators like apartment-dwellers, college students and first-time homeowners, the options are trend-forward and generally inexpensive —characteristics that design-savvy folks of all ages can appreciate. 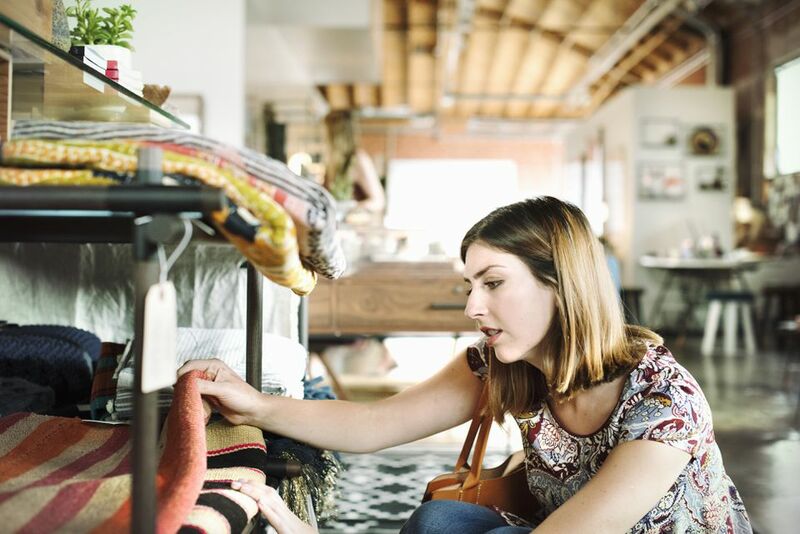 Though the selection is smaller than some of the other retailers, it’s a good first place to look if you saw something on Pinterest or Instagram that you want to recreate in your own home. You’ll find more options online than in stores, and the navigation is easy with styled shots that are an inspiration in themselves. Keep an eye out for some of their cheeky shaped accent rugs for a powder room or entryway. IKEA is best known for its cheap, assemble-it-yourself furniture, but it has a great rug selection — no assembly required! You can browse the full selection online by style or color, but not everything is available for shipping, so the best option is to shop in-store. Plus, it’s fun to browse everything that they have! These rugs are very affordable and offer a mix of traditional and trendy designs to suit many different kinds of homes. All of the rugs are well-priced, and some, like the black-and-white stripes ​STOCKHOLM rug, has been in the collection so long that they’ve become icons unto themselves. If you like the thrill of the in-person hunt, head to HomeGoods. This budget-friendly store is always updating their rug selection, and the options are always well-priced. Here, you’ll find a mix of traditional, contemporary and transitional rugs that work for a variety of homes, many from brands that sell for much more at other retailers. Though you can’t shop online, you can preview the products they might have in stores there. Plus, they have an engaged blogger and trendsetter community that styles HomeGoods products in different ways so you can get inspiration browsing their site at the same time. Consider Overstock the online answer to HomeGoods — if you browse often, you’re bound to find deals on rugs you love. Overstock has a huge selection of rugs in just about every shape and size, and the styles range from very traditional to trendy. If you have something specific in mind, they offer many categories to narrow down your search, not just by color, material, or size, but by design style or trend as well. Most orders ship within one or two days, and shipping is free for purchases over $45, so if you start a decorating project on Monday, you just might be able to finish it by the end of the week with an Overstock rug. Overstock includes less-expensive brands as well as deeply discounted bigger-ticket brands. Does your style sway more traditional? Then you might want to consider Pottery Barn as your source for your next rug because they are a one-stop shop. They have everything you can need including, indoor/outdoor rugs, natural fiber rugs, hand-knotted rugs, rug pads, and so much more. If you are working with a room with odd dimensions you can order a custom sized rug to fit it just right. While Pottery Barn rugs are traditional they still have a contemporary nod that will stand the test of time. What is great about this brand is you can see what the rug looks like in store (or their catalog) and then order it online. Shipping depends on the style of rug, but some rugs can be shipped next day if you are in a rush. Most rugs can be returned within 30 days either at the store or by a UPS dropoff if it is less than 70 pounds. If you are looking for a high-quality rug that will stand the test of time (and a busy household!) Pottery Barn is a brand worth checking out. A rug list is not complete without the standout Dash & Albert. The brand which is part of the Annie Selke company produces high-quality rugs in wool, jute, sisal, and cotton. They're possibly best known for their large selection of indoor/outdoor rugs that feel like indoor rugs are are really easy to clean with a hose. Most of their rugs are traditional with a lot in graphic patterns and many have been featured in home decor magazines. You can buy the rugs on their site but many other companies like Wayfair and Nordstrom's also sell them. Your favorite department store is a wonderful resource for all types of rugs. Macy's has a plethora of rugs ranging from traditional, to contemporary or modern. Their line runs the gamut and you can often get a good deal if you shop when they are offering a big sale or if you have a Macy's credit card. Certain rugs have an added shipping fee of $40 or more depending on the size. Most rugs can be returned in 30 days after you contact customer service. Home Depot might not be the first brand you think of when it comes to buying a stylish rug for your home, but this brand has made a big investment in the home decor category. Many stylish rugs like tribal, cowhide and distressed rugs can be found at this big box store and often at a deep discount. Most rugs can only be found online but you can find some top-sellers in the actual store while you are shopping for light bulbs. Delivery options run the gamut depending on where you live, but you can expect some same day options, in-store delivery options or standard at home. Most returns will be accepted within 90-days and you have a few options for in-store or pick-up return.